Our guest room is finally painted! This room has actually been "finished" for a few weeks now, but with Christmas and New Years, I just never had a chance to post anything about it. Right now the only thing "done" about this room is the paint, which was the complex painting project I mentioned in this post and this post. The bedroom next to it is the same color pink as well. I'm not against pink at all, in fact, my bedroom in my apartment had a white, gray and light pink color scheme. However, the pink walls just weren't doing it for me and neither were those sheer curtains. ...and I think one of the Roman shades is confused. I promise I wasn't trying to take that many glamour shots of my vacuum. But I love my vacuum, so it's okay. If you haven't, my dad is an excellent eye doctor in the San Gabriel Valley of Southern California. It's like Justin Timberlake's 20/20 Experience except for your eyes. If you haven't noticed, that entire room is floor to ceiling bead boarding. It's kind of my dream come true. When I saw pictures of this house online with all the intricate detailing throughout, I fell head over heels in love with it. So I knew that this room--the only bedroom with the stuff had to be special. 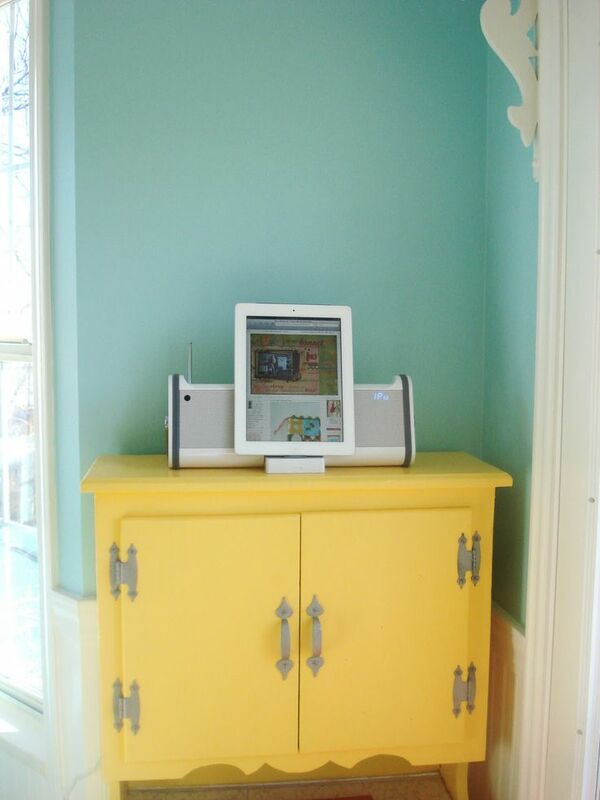 At the time I started this project, I was also picking out paint colors for the play room across the hall. So in my regular indecision, I had to paint a large patch of the play room color onto the pink in the guest room just to be sure that it was indeed the playroom that the gray should go in. Because what if the gray looks better in the guest room and stuff. It's hopeless, people. I have to know the answer to every avenue. "Yep. 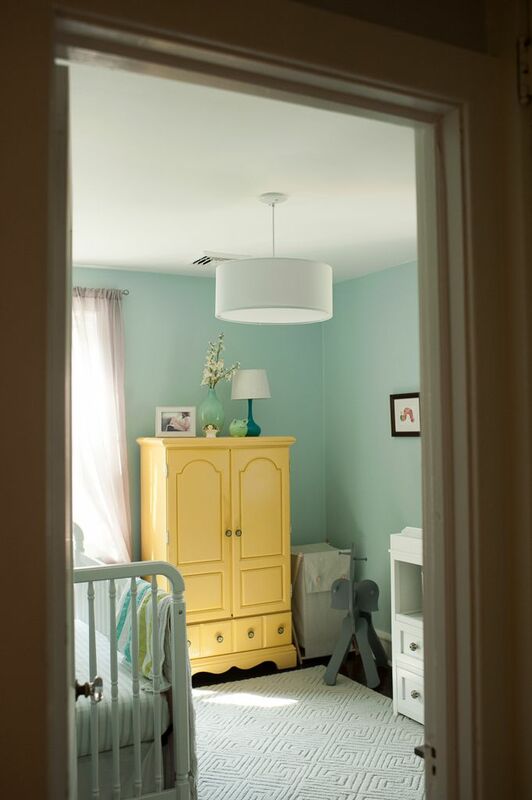 That color definitely belongs in the play room." When I was trying to decide what color to paint the room and how to paint it, I couldn't help but notice that the pink paint wasn't exactly on every little nook and cranny that the bead boarding provided. Here and there you could see wood color that had never been touched by the bubblegum pink paint. It gave it this really old look to it that I thought would look great with the country feel that the room had simply because of the bead board. Two weeks of my life. Because I did this to the entire room. Don't get me wrong, it wasn't an around the clock ordeal, just a couple hours a day a few days a week for nearly two weeks. So I'm not totally crazy or anything. Besides, I had help. So for a week and a half, I dipped my paint brush* into a paint cup several hundreds of times, if not thousands, to do two coats of white into each and every bead board. I used a paint brush for two reasons: I didn't want to use a roller and cover the entire walls white (which would have been much faster) and do two coats of white on the walls only to add two more new coats of the main room color soon after. And also, it was incredibly difficult to get the paint from a roller into the crevices of the bead board. So away I went with my little paint brush. By the time I finished with this part of the project, the wall began to resemble more of a mortared-up, beat up brick* wall. Meander Blue is on the wall, the paint chip is what I was aiming for in hindsight. Luckily I had only painted the small portion of the wall outside the closet door frame, so changing my mind about the color was still justifiable. We had looked at other paint samples and there was actually one I was more sure of than the Meander Blue before we bought it. Why I didn't go with it the first time is something we won't get to understand this side of Heaven. And this time I went with my gut. And started nervously painting over all the stripes I had meticulously painted over the past week and a half. And here's how it turned out. Here's a close up of what the white stripes look like peeking through the crevices of the bead boarding after being painted over. I love it. It's exactly how I pictured it. The finished paint color is N11 High Tide by Pittsburgh Paint. I ended up painting the closet white and removing the closet rods to make the closet feel more open for a reading nook. Because I am a bookworm and I want to spend all my days in this room now. I haven't fully decided whether or not I like the gold stripes that I painted in the closet afterward because I want to hang gold picture frames on the wall where the stripes are and that may seem a little redundant. It'll be great getting the room more put together. Nevertheless, I'm so excited to have this part of it finished! For now, it's a job well done.